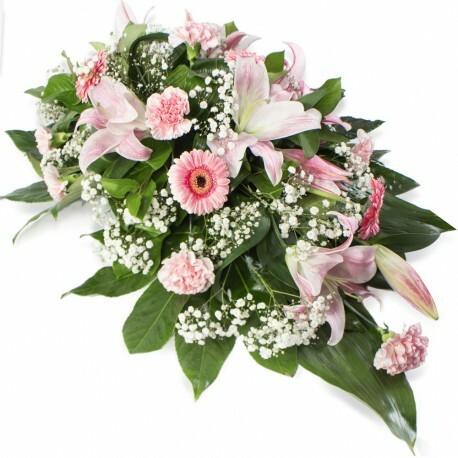 Double ended funeral spray in pink and white shades. 3ft Â£85 / 4ft Â£105 / 5ft Â£130. This type of funeral arrangement needs at least 1 working day's notice to deliver. It is not possible to make and deliver an item like this same day.